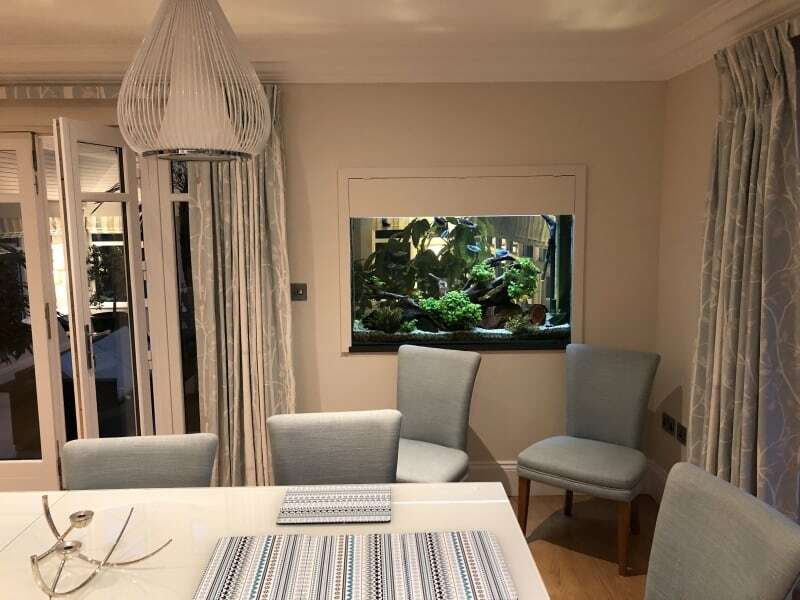 This bespoke tropical freshwater aquarium is visible from both a large conservatory on one side, and a kitchen on the other. 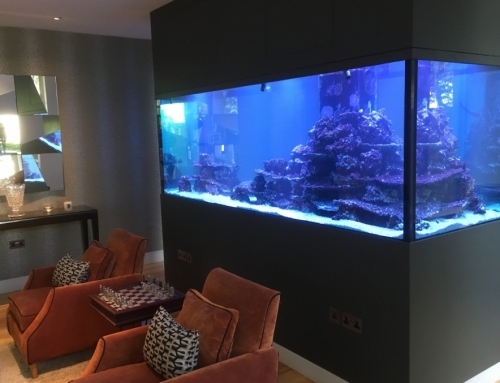 It was built in while the house was being constructed and has the luxury of hidden pipework and equipment. 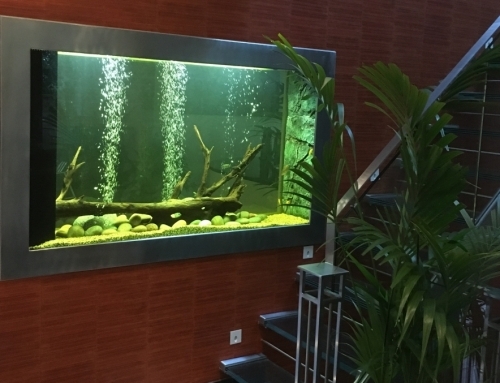 It is 1100mm length, and feature a planted display incorporating bogwood and rocks to make a wonderful original river display. 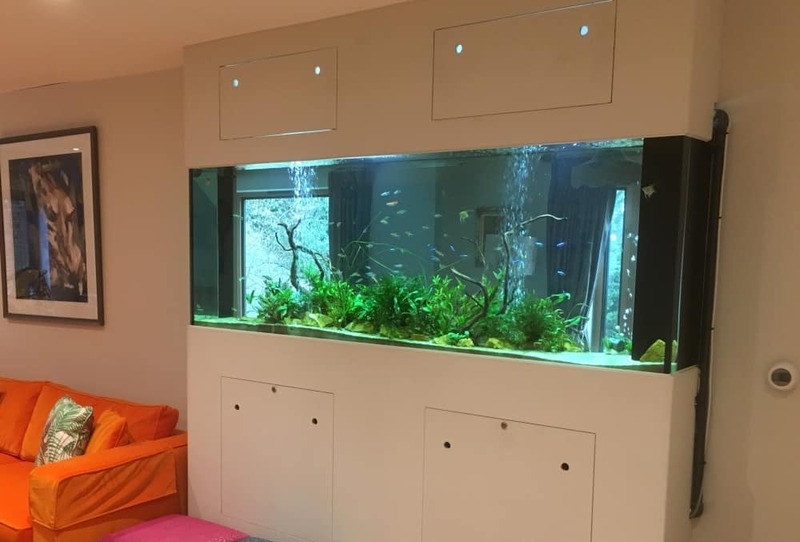 Also filled with a selection of colourful fish, these gracefully swim about the underwater planting, while transfixing anyone who watches the aquarium. 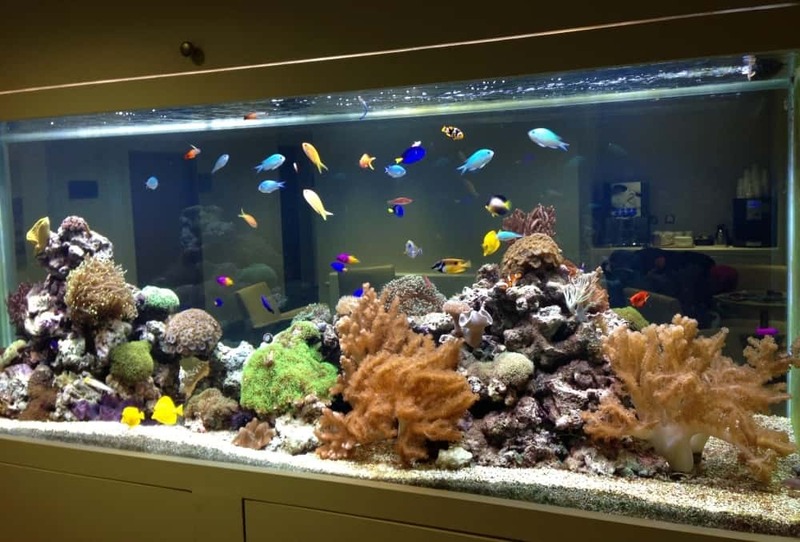 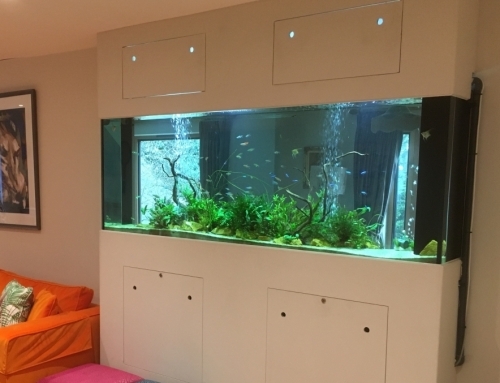 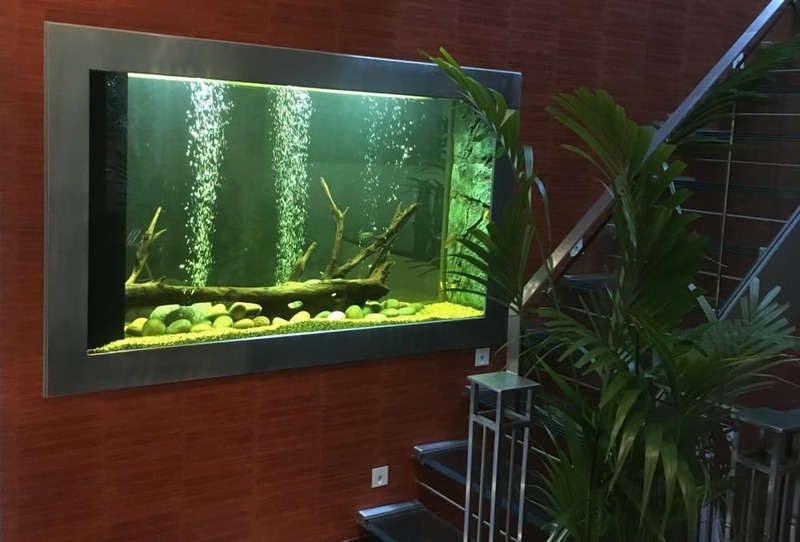 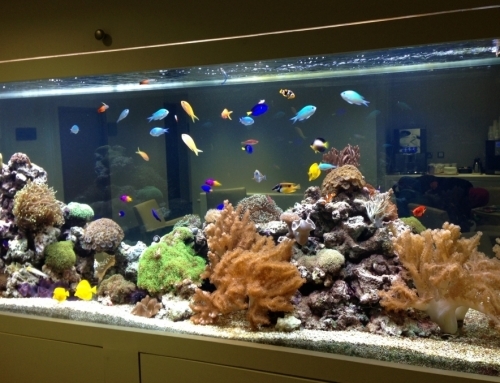 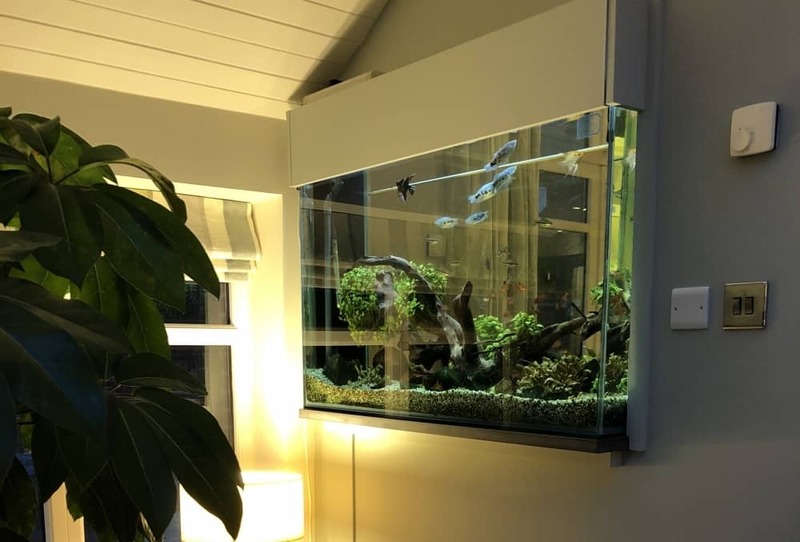 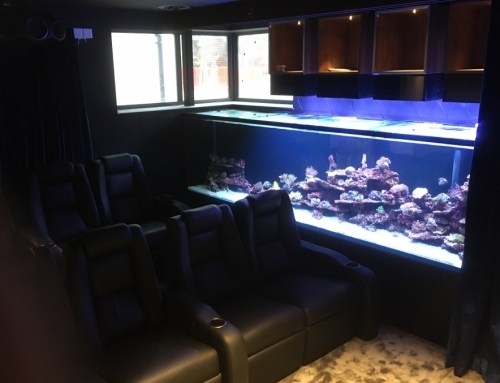 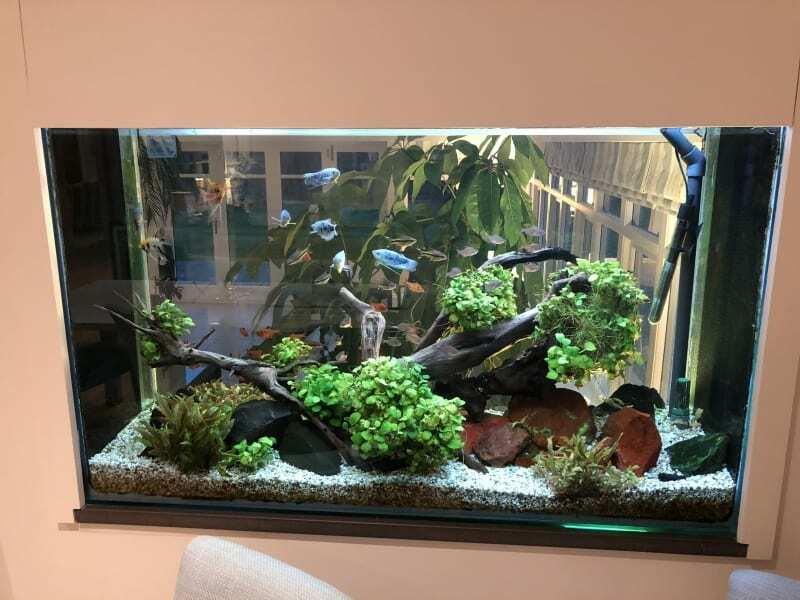 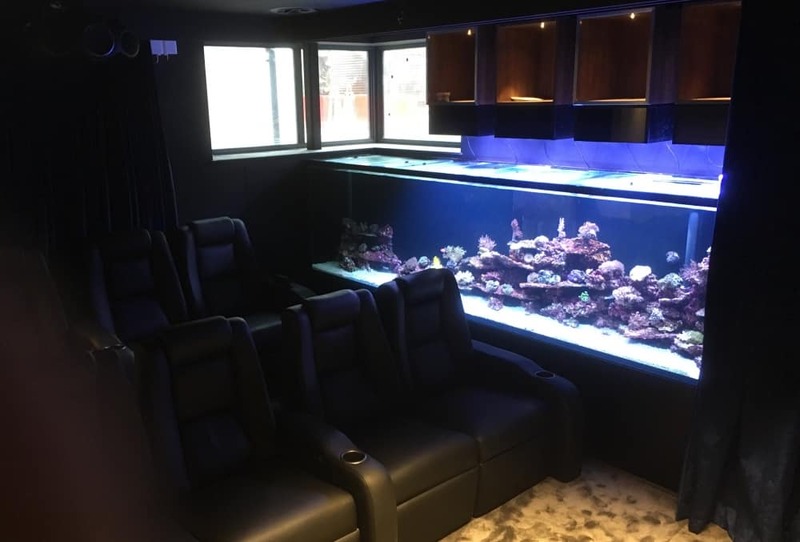 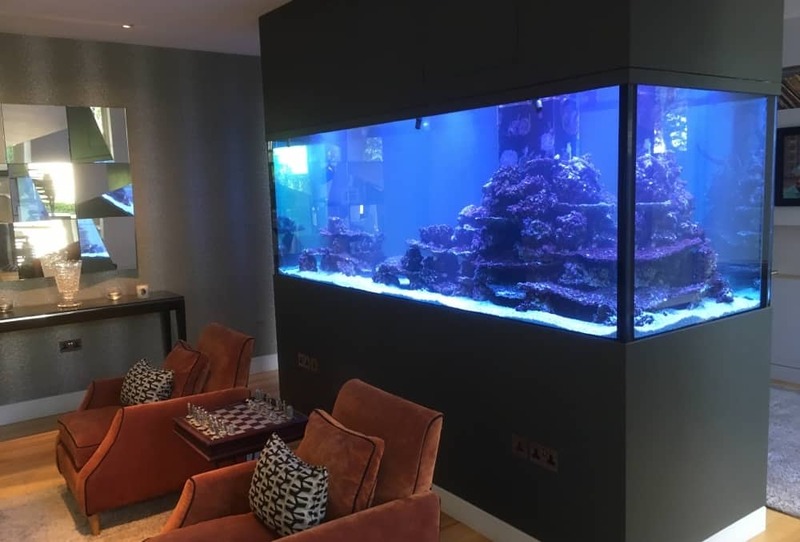 The external filtration system ensures there is no visible equipment within the tank, and keep everything running and healthy, and along with our regular maintenance service from the day we finished the installation, this aquarium provides a fascinating centrepiece within this lovely home.